The billion or more Yahoo accounts that were hacked in two separate cyber attacks didn’t dissuade Verizon from purchasing the security frazzled company, although the price was shaved by $350 million in Verizon’s final bid of $4.5 billion, reports Foxbusiness.com. Even though Yahoo’s CEO Marissa Mayer didn’t accomplish what she was hired to do, she’ll still walk away with $186 million from the deal. But why did Verizon even purchase a company known for the worst security breaches in U.S. history? Verizon has a reputation for gathering behavioral data. In fact, they are experts in handing over your private information to government authorities in the deep state. In April 2013, The Guardian reports that the National Security Agency (NSA) asked for a court order from the Foreign Intelligence Surveillance Court (FISA) that required Verizon “to give the NSA information on all telephone calls in its systems, both within the U.S. and between the U.S. and other countries.” For three months, Verizon obediently turned over 24/7 communication metadata to the NSA. But aren’t FISA court orders supposed to target terrorists? Not in this case. Unless speaking on the phone with your friend who had a Verizon account is a terrorist act. This wasn’t the first time Verizon had turned over metadata. And they’re not alone. After 9/11 and the Patriot Act, President Bush secretly authorized the collection of all sorts of internet, email and telephone records. In 2006 it was finally revealed that tens of millions of Americans who used “AT&T, Verizon and BellSouth” were having communications analyzed by the NSA. Instead of President Obama stopping it, he partook in the crimes of illegal surveillance of American citizens. No one is immune. Verizon may have well hit a jackpot with Yahoo’s billion user accounts. But hey, they only want to sell you things and create custom on-line advertising, right? That’s doubtful, but there is hope. 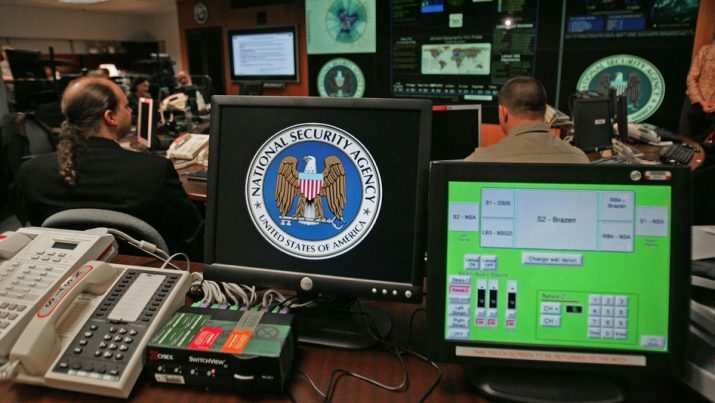 Why would the NSA want all the data from every single person in the United States? Perhaps it’s a case of extreme paranoia, since the American people are waking up to their illegal totalitarian data collection systems. Evil always eats its own tail. And that’s good news.